During this legislative session we have been battling on several fronts against an undercover effort that could take health care decisions out of your hands. We’ve been telling people for years to protect themselves in case they become incapacitated at the end of life or are unable to make decisions for themselves. The best way that can be done is by appointing a trusted person to make those decisions if necessary and that requires filling out a portion of the Oregon advance directive document. Author Mike Moore will transform the millennial generation with stories that are plainspoken, raw, and relatable in his new book, Love God Hate Church. Millennials are leaving the church in droves. A recent LifeWay survey showed that seven in ten young adults who regularly attended church as teenagers leave the church by the time they reach their mid twenties. While some remain nominally Christian, another recent Pew Research study shows that 36% of Millennials don’t affiliate themselves with any religion at all—over twice as many as Baby Boomers. Millennials are not interested in being told how to live if they don’t understand for whom they should live. 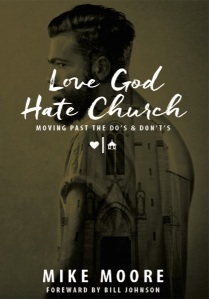 Love God Hate Church is purposefully provocative. It’s an in-your-face challenge aimed at one deadly target: anything that claims to represent God but contradicts Him in actions, values, or rules that violate His heart. Growing up Catholic on Chicago’s south side Mike shared an experience similar to many Millennials: flooded with “dos” and “don’ts” at church but never shown how to love God with his heart. Salem, OR -S enator Tim Knopp (R-Bend) co-sponsored legislation that creates a crime of criminal impersonation. Senate Bill (SB) 1567 passed through the Oregon State Senate on a near unanimous vote. This policy prohibits a person, with the intent to harm, from impersonating another individual. As a result, the individual who suffers harm, as a victim of criminal impersonation, will have official cause of action against the defendant. This type of offense, which is defined as a Class A misdemeanor, may be punishable up to one year’s imprisonment, a $6,250 fine, or both. Earlier today, I commented on how the media like to ask Donald Trump to opine about the pope’s position on immigration, but no one wants to ask Hillary Clinton about the pope’s position on abortion. Now the pope is being asked about Trump’s position on immigration. The pope is making headlines everywhere for saying, “Trump is not a Christian.” But there is much more to this story than what is being reported. 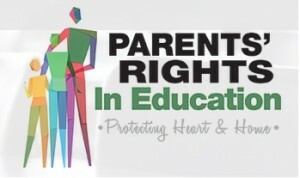 Schools collecting data on student family life, sexuality? A November 4, 2015 letter from Oregon Health Authority Director, Lynn Saxton strongly recommends that Oregon School Boards give their approval of what some parents would deem an intrusive survey given to their children while at school. All the data will be collected between February 1 – April 8, 2016 from what is called the ‘Student Wellness Survey’ (SWS) ; 6th – 8th grade and 11th grade. In this survey, children are asked: “How do you identify? Female, Male, Transgender, Other”. They are also asked, “Which best describes you? Heterosexual, Gay or Lesbian, Bisexual, Queer, Other, Not Sure”. Perfectly good words are all-too-easily haunted by histories they never intended. Hostages of ill-fortune, these once proud turns of the tongue find themselves the outcast amongst polite company. To give an example, in Christian history “gnostic” is one such word; used originally by many Church Fathers like Clement of Alexandria, it meant much the same that “disciple” does—a learner, one who knows because they have been taught by Christ, the Teacher. 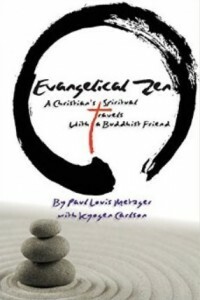 Usurped by the potpourri of mystical and theosophical beliefs we organize under the label “Gnosticism” for the sake of convenience, “gnostic” soon found itself no longer invited to Orthodox parties. Endorsement by several Republican presidential candidates of registering women for a hypothetical military draft, and the Obama Administration’s removing remaining strictures against women in combat roles, have provoked controversy from some conservative Christians. Nearly all of the critics so far have been Evangelical, mostly Southern Baptist. Eric Lee Stiller, whose steadfast faith in Christ and 22 years of dedication to the ministry of Christian News Northwest played a critical role in its long-term survival, died unexpectedly early last month. He was 65. Stiller’s body was found in the living room of his Jantzen Beach home by one of his two adult sons on the evening of Jan. 4. The medical examiner determined his death was from unspecified natural causes. “It’s a story about what God will do when you obey,” head baseball coach Jeff McKay said about the incredible opportunity Corban’s baseball team received last summer to travel to Caimanera, Cuba. They were the first American baseball team in Caimanera in nearly 60 years and one of the few American teams to ever play on Cuban soil since the Cuban revolution of 1959. 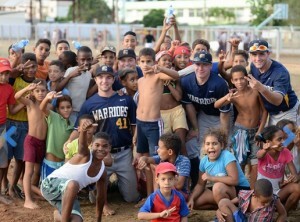 The local population welcomed the Warriors warmly and the local government officials invited the team to visit again this coming June.